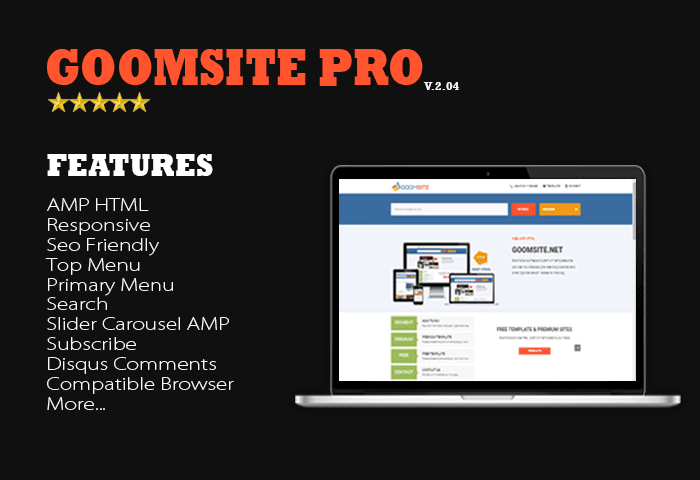 Goomsite Pro is Accelerated Mobile Pages (AMP) for Blogger Templates. This is a design with a Business view, just seconds to load and run everything. These templates are configured and upgraded to be super SEO friendly, and also mobile-friendly. This template is the first time I use on this blog and was first used to register Adsense, the article at the time of registering new Adsense 5 posts. It does not take several weeks of Adsense directly in approve. Due to not believe there is a friend use it does not take weeks Adsense week directly in approve. If you want to try it please use this template to register Adsense.